Broken Arrow made Oklahoma high school wrestling history Monday. 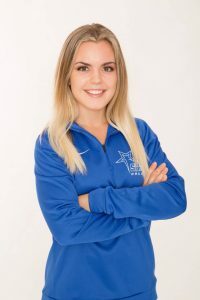 The school announced it was starting the first girls varsity wrestling program in the state and announced the team’s first coach, Cassidy Jasperson. She was a five-time All-American at Oklahoma City University while garnering a bronze medal in the 2017 U.S. Senior Open. During the 2018-19 season, 87 girls participated in Oklahoma high school wrestling. Starting next season at Broken Arrow, girls will have an opportunity to be on their own team. The team will build a schedule comprised of duals and tournaments beginning next school year. Jasperson was a 3x Texas State Qualifer and the Texas State Champ in 2014 for League City Clear Springs 5A-119, place 3rd in 2013 with a 6th place finish in 2012 back when there was only one class in the state.